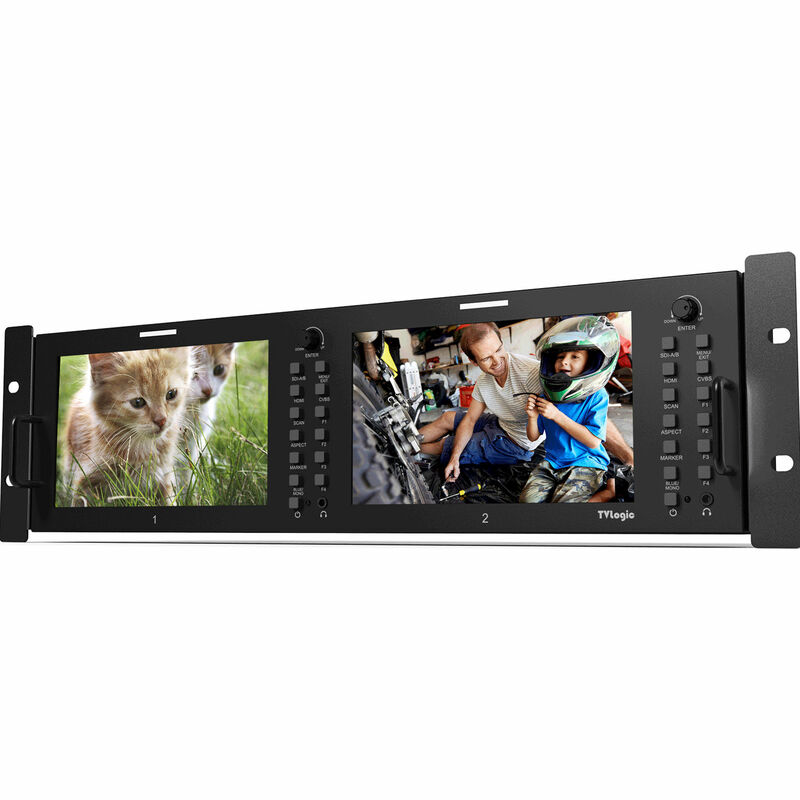 The TVLogic RKM-270A HD/SD Multichannel LCD Rack Monitor features two 7" IPS LCD screens with a 1024 x 600 resolution. Both screens offer wide viewing angles of 170° (horizontal and vertical) with a maximum brightness of 400 cd/m² and contrast ratio of 800:1. The screens support multiple formats including 3G, HD-SDI, SD-SDI, and HDMI. Each screen features a built-in internal speaker and supports stereo audio out using a phone jack. This dual monitor can be VESA or rack-mounted. Box Dimensions (LxWxH) 22.0 x 10.0 x 7.0"